Tanix is hitting the market again with its new model TX3 Mini, that brings you to have a mild taste of high efficiency off the versatile and new S905W Quad core ARM Cortex-A53. This sleek and capable device of 64 bits will take you to an affordable experience you had been longing for watching and listening to your beloved TV series, Music, music videos, TV stations and radio stations with ease. Tanix TX3 Mini is presented in 2 different RAM memory sizes, 1GB and 2GB. With a total of 16GB eMMC. 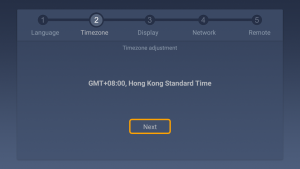 As well, It will get far more support for the new Android Nugget 7.1.2 and its new digital clock screen which can be used for notifications in some near future. You can sneak in to get a fast peek on prices at the following link is below! Continue reading to learn the most of this great device! TX3 mini comes wrapped within an appealing and small collapsible black matt gift box. The gift box compacted, is made of pretty thin a healthy light-weight cardboard to cut down shipping costs. Not highly durable nor reusable, you still might reuse it to store some screws after its proper teardown. As you open to uncover the gift box’s lid, you will be already watching a color full scenery. The box sports icons to the right, of the most well-known social networks you will be immerse in touch with your friends daily. This is the most “precious momentum”, which is the one you get at handing on your TX3 Mini for the very first time! The box comes with several ports available for its use at the right time. 3 Ports on one side and 5 at its rear. On the bottom there are some stickers for device information tracking. You can also notice it got properly certified as well as it has got its eco-friendly symbol. At the front there’s a display screen to show time, connection status and some other information. Carefully, just after taking out the box from its wrapping bag, put the TV box on the table and poke a finger into that hole to pull out the removable part that holds the TX3 Mini in place. – TX3 Mini TV box. – 13 buttons remote controller (no batteries are included). – A HDMI cable with 2 protection caps. – And a singular manual. Please check any of this components are not missing. This TV Box is “smartified” with a sort of automatic power on/off mode. So to speak, there are no buttons for powering this device on or off, so once you are done using it and shut off your TV, it goes into sleep mode until the next time you intend to use it. So get close to that TV supporting 4K, plug HDMI cable and power adapter cord to the outlet. Take the Tanix TX3 Mini remote controller and get a grip sitting on your comfortable upholstered couch! The first time that your TX3 mini runs, it will need some pre-configuration settings in order for using your device right on! 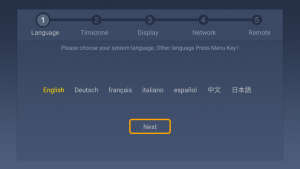 On this step, you can move onto any of the 7 different languages your Tanix TX3 Mini supports. Just press up, right or left arrows to choose the one fits you best. To select your timezone, move up on the middle option is above “Next” button. Once clicked OK over, it will display a large list of countries with its respective time zone. If you detect any off-screen position of the input image from your TX3 Mini, with this option you can perform an overscan compensation to get best screen fit. Within this step you can connect to internet by Wireless, Cable or set a dial-up access Internet connection. Then press Next button. And that’s all! You are ready to go! Once you are done with the setup wizard, you will get to the launcher screen. 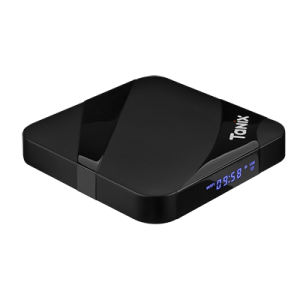 TX3 Mini launcher features its most pervasive options used in TV box Tanix world. 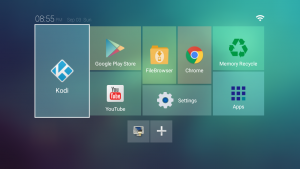 KODI, youtube player, Google Play Store, Google Chrome and some system apps. Down below there’s a small customizable bar to add direct access icons linked to your favorite APPs. TX3 Mini is powered by amlogic shipping with its new SoC S905W designed to target customers with almost same required needs of its big brother S905X at a more affordable price. 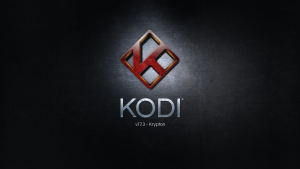 KODI will work with most of it to smooth results using HDMI 2.0, but with some limitation to 30 frames per second. Something that many Tanix users won’t feel it much as a downturn. What is the difference between S905W and S905X? As we said, Amlogic wants a cost effective SoC in the market to fight against RK3229, for this very reason, they decided to have 4K@60fps resolution spec removed. Hence limiting frames per second rate to 4K@30fps instead. Isn’t that bad? 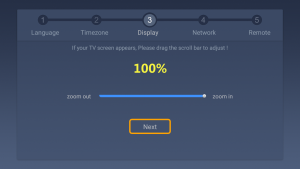 After tones of feedbacks, Tanix find out that most of their TV box users do not need this specification at all. Being this new box configuration still the preferable solution for their home theater setup. Android 7.1.2 has a very visible new way to display the Settings menu, which comes in as slide out form. It let see some of the changes your perform real-time. It also comes with some new features you can find out by yourself. The clock time display syncs to the time of android system, so you only need to set up your current time to set the display screen clock time all at once. TX3 Mini does carry a modest variety of TV stream players. KODI and YouTube player are the only ones pre installed. Between the most used video formats TX3 Mini supports H.265, AVI, H.264, VC-1, MPEG-4, DIVD/DIVX. If you need to check for all the supported formats of video, audio and pictures, please have a look at this link below. If can not fix it for you, our engineers are working on this. It seems that launcher does not have fast load feature for Android 7.1, so the system will load another one. Peobably you have to install your launcher and then remove the other with root access. Dual OS is under development. It will take some time and updates to be better. We know some videos had problems playing, but it has been fixed. It is not normal the box is freezing. If you upgrade your system by using the .ZIP file from “Update” App, you can choose wipe data or not. Just can guess the TV is not reporting the correct supported resolution… but this (usually) can be a problem with 720p TVs only. Do you have another TV to have a try? You can upgrade, visit this link and you will get an email with links and instructions. Press “Menu” button on your remote. Your launcher is fixing KODI at lagest window position, how can I replace KODI by other application? 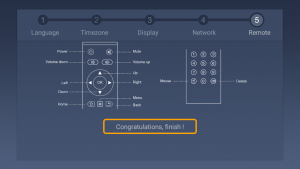 Big banners can be replaced by pressing “Menu” button on your remote. Hi I just got a new TX3 mini and try to start it up. According to the display the box works (it shows the time and the connections) but I don’t see anything on the tv-screen. I tried different HDMI cables and different HDMI ports on the tv but nothing… Any idea what this could be? ALICE UX is the Android launcher on that version. Fixed 1080p, you can have a try. We are going to send you info about how to try our latest firmware (BETA version yet). It includes Root/Unroot function. Hi, who knows some app for remote control this tv box? You can not do a factory reset if your device does not boot. That is a function from its software. You can try another power supply if you have. Also can try to flash the unit by following this manual. Anyway, the seller should give you a solution if your unit is defective. I bought one Tx3 mini on last week from geekbuying, but unfortunately it doesn’t work!!!! No signal, no power led, no power on / of…. 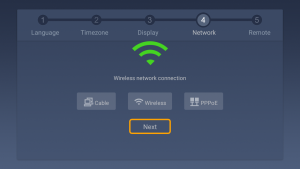 The geekbuying support tell me that I do the factory reset, but I dont know how I do it! I wait for any help! Sorry to hear that. You should contact the seller for a solution or apply warranty. what is better tx2 or tx3 mini?